Not many words are needed for this! 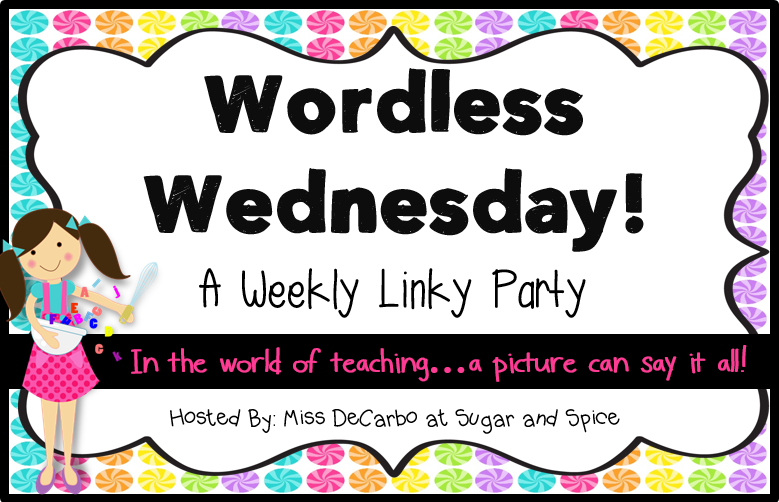 So glad that to be sharing this on Sugar and Spice! I got this confirmation by email yesterday! I'm so excited I can't even stand myself! 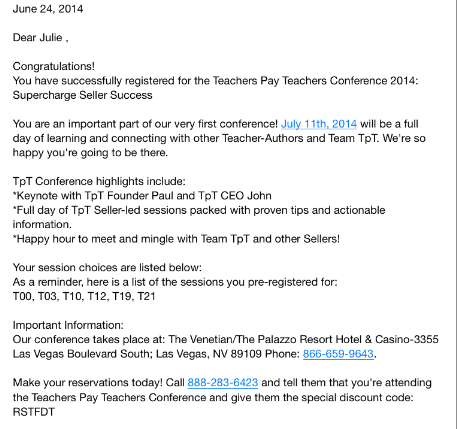 Are you going to the Teachers Pay Teachers Conference in Las Vegas? That sounds amazing! I am still trying to figure out if I can go or not! I am supposed to be going to a different conference, but things are crazy there! I hope to see lots of familiar blog faces in Vegas though!! That sounds awesome! I can't make it this year, but it looks like fun. Have a great time! How wonderful!!!! I sure wish I was going, I know you are all going to have an amazing time!! !